Annalee Newitz is the founder and editor-in-chief of io9. She has been writing about science, the future, and popular culture for over a decade, and has published articles in Wired, Popular Science, New Scientist, The Washington Post, 2600, The Believer and New York Magazine. 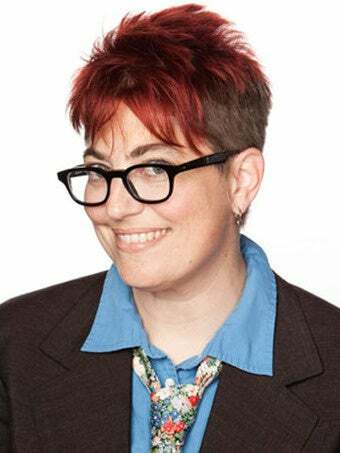 Formerly she was a contributing editor at Wired magazine, a policy analyst at Electronic Frontier Foundation, and culture editor at the San Francisco Bay Guardian. She co-founded two indie magazines: Bad Subjects and other. A few books have her name on their spines. These include Pretend We're Dead: Capitalist Monsters in American Pop Culture (Duke University Press), She's Such a Geek (Seal Press) and White Trash (Routledge Press). Universities are sort of an addiction for Annalee. She's got a Ph.D. in English/American Studies from UC Berkeley, and in 2002 was the recipient of a Knight Science Journalism Fellowship, which allowed her to spend a year at MIT learning about molecular biology and computer science. You might have heard Annalee talk about her work on NPR, CBC, BBC, ABC, G4, CNN, TWIT, or some other media entity whose name is an acronym. You can follow her on Twitter or Facebook.